Why would I need self storage in Flint, MI? There are a variety of reasons why you might need self-storage in Flint, MI. How much is a storage unit in Flint, MI? The cheapest storage unit in Flint, MI is $78.00 per month. What size storage units do you have available in Flint, MI? In Flint, MI we have sizes that range from 5'x10' to 10'x30' to suit your storage needs. How much is it for a 5'x10' storage unit in Flint, MI? The cheapest 5'x10' storage unit in Flint, MI is $78.00 per month. Flint, located about 65 miles northwest of Detroit, is one of the largest cities in the state. It's home to several city sports teams, several institutes of higher education and a variety of everyday amenities. The area that's now Flint initially started off as a trading post, founded by a fur trader named Jacob Smith in 1819. In 1830, the town's basic layout was established, and Flint progressed through the years, becoming a center for trading, agriculture and lumber. The Durant-Dort Carriage Co. was built in 1886,producing over 100,000 carriages per year shortly after opening. After that, the city became home to several auto manufacturing companies, including Buick Motor Co. and General Motors. As a Flint resident, you'll have easy access to everyday conveniences like grocery stores, coffee shops and convenience stores. The city provides plenty of amenities, so you'll never have to go far to run a quick errand or grab a bite to eat. The Flint Cultural Center is a major presence in the city, founded with the goal of furthering art, science and the humanities through a range of programs. You can explore a number of exhibits at the center, or enroll in one of the many art classes. The cultural center also hosts a range of performances, including music and dance. Regular children's activities and classes are offered, focusing on topics like science, art and culture. Another regular fixture in the Flint community is the Flint Farmers Market, which has been named one of the "Great Places in America" by the American Planning Association. The market hosts more than 100 vendors selling locally-grown produce, artisan-made food, arts and crafts. Students who live in Flint attend schools that are part of the Flint Community Schools district. Special district programs include dual enrollment, advanced placement courses, after school programs and STEM programs. Flint is also home to a variety of private and charter schools. 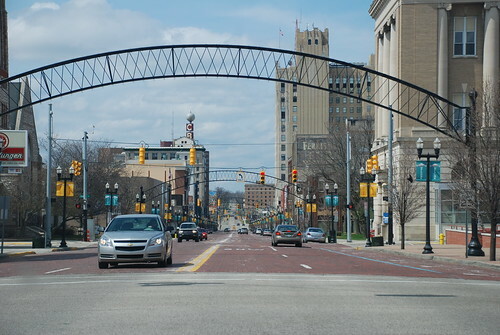 The city has several options if you're searching for higher education, including a University of Michigan campus, Kettering University and Mott Community College. Utilities: The city maintains water and sewer services, while Consumers Energy is the primary electricity provider in the area. Garbage and Recycling: Republic Services manages the regular collection of trash, recyclables and yard waste. Transportation: The MTA operates a network of fixed bus routes in and around Flint. Flint is an extremely affordable place to live, with prices that are a fraction of the national average. If you're searching for a single-family home, you'll be able to choose between new construction or an existing property. There are also plenty of rental properties, most of which are priced very affordably. Our lowest priced units in Flint, MI average $78.00 per month. 63 people have reserved units in Flint, MI in the past 30 days. There is 1 location within Flint, MI's city limits. There is 1 location in Flint, MI that offers AC and Heating features.